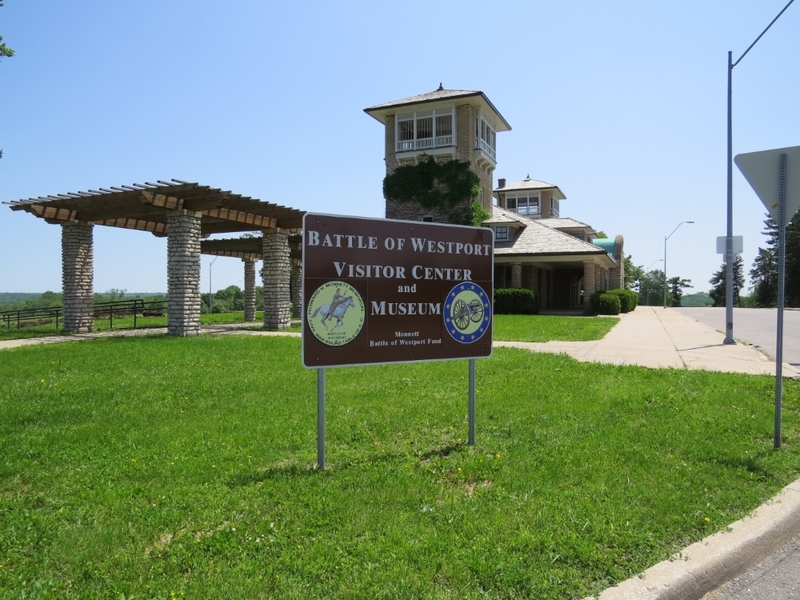 Before or after you finish the tour, you should consider visiting the Battle of Westport Visitor Center and Museum. The museum is located on the first floor of the Swope Interpretive Center (6601 Swope Parkway) just inside the western Grand Entrance to Swope Park (located at the corner of Swope Parkway and Meyer Blvd). Museum exhibits depict the experiences of the soldiers and civilians caught in the vortex of war over the three days of October 21–23, 1864. The Visitor Center overlooks the Big Blue River valley and the nearby historic Byram’s Ford crossing. The vista from the center sweeps across the ﬁelds to the river where war raged nearly 150 years ago. The Visitor Center’s hours of operation are April through October, Thursday, Friday and Saturday from 1:00—5:00 p.m. You may want to check the museum website (http://www.battleofwestport.org/) for the latest information. Battle of Westport Visitor Center and Museum located in the Swope Interpretive Center building. 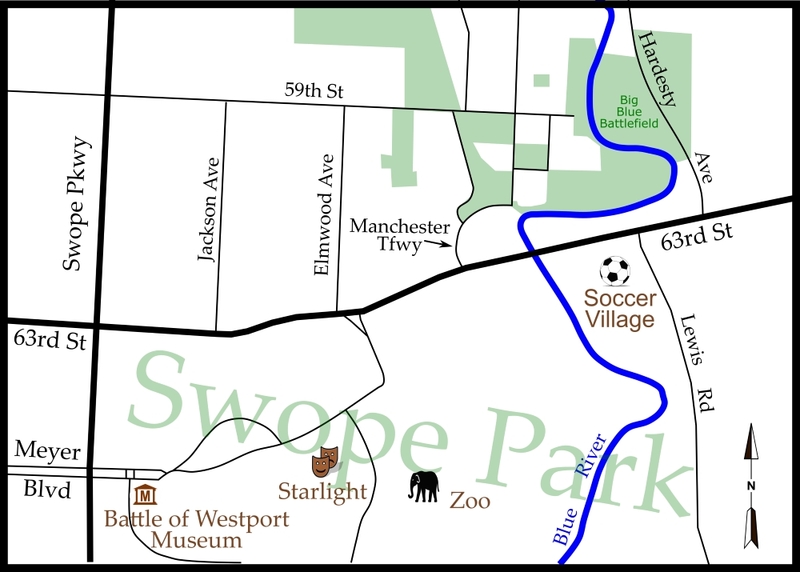 Map showing location of the Battle of Westport Visitor Center and Museum.